We are welcoming you to visit our factory first and then place big order. We want to believe in long term relationship with the customer. If you have the good market then we are happy to deal with you on the basis of the trust. &bull; This keyboard can be connected to iPad2, iPad1, iPhone 3GS, iPhone4, iPhone 4S, iPhone 5 and 5S, iPod touch, that has iOS4.0 or later installed. We have set up 3 SMT line, 2 production line, and 5 engineer persons, 5 QC workers 50-60 works. Our Products sold the United States, Germany, Japan, Canada, Britain, France Korea, UK etc. Shenzhen Jinyijia Trading Co., Ltd.
2. After confirmation, we can finish payment via paypal, western union, secure payment, trade assurance or T/T, ect. 3. After payment, for under 500pcs order we will ship out within 1-2 business day through DHL or other shipping method as customer required. 4. After ship out, will send tracking number to customer and help track it till our client receive the package. 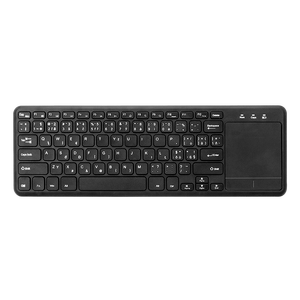 Alibaba.com offers 25,965 mini keyboard products. About 43% of these are keyboards, 2% are keyboard mouse combos, and 1% are toy musical instrument. A wide variety of mini keyboard options are available to you, such as ergonomics, bamboo keyboard, and slim. You can also choose from 2.4ghz wireless, wired, and bluetooth wireless. As well as from bluetooth, usb, and at. And whether mini keyboard is laptop, or desktop. There are 25,767 mini keyboard suppliers, mainly located in Asia. The top supplying countries are China (Mainland), United Kingdom, and Hong Kong, which supply 99%, 1%, and 1% of mini keyboard respectively. Mini keyboard products are most popular in North America, Western Europe, and South America. You can ensure product safety by selecting from certified suppliers, including 4,408 with ISO9001, 2,037 with Other, and 828 with BSCI certification.